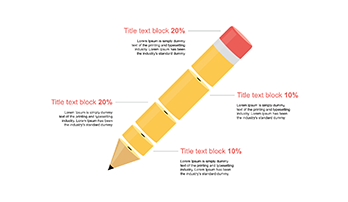 Pencil Clipart for PowerPoint .PPT - Free Download Now! What is the pencil clipart for PowerPoint for? Attract visitors/ listeners to your project/ topic as well as interact with the target audience. 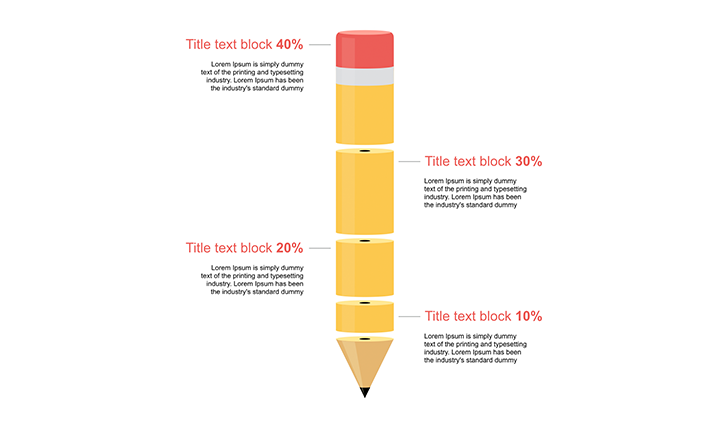 How to make infographics in PowerPoint? High quality. High quality is an obligatory feature of all our elements. On our site, there is no a single slide of poor quality. All templates are approved. 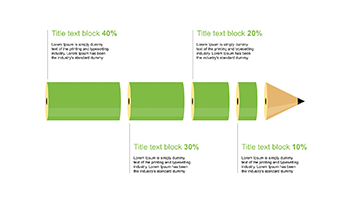 For those who want to know how to make infographics in PowerPoint, this element can become a wand. A high-quality professional template for your projects does not have any defects. Choosing this element, you can forget about such fears as visible pixels and loss of quality. This clipart remains perfect when it is displayed on any screens. Built-in tools. 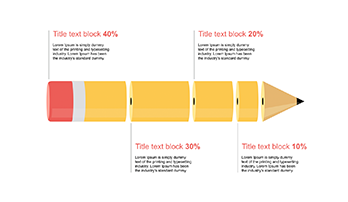 This pencil is yellow but it is possible to edit the color if it doesn’t match your project. All built-in tools applied to the element (such as size and shape) are also editable. Multipurpose element. The pencil reflects the ratio of different figures and data, so it is perfect for any business or marketing report or presentation. It can successfully display statistics. In general, the slide can be used for any project that deals with statistical information or other figures. Easy-to-use ready-made slide. This pencil clipart for PowerPoint will be your assistant and support with the help of which you’ll take less time for your job responsibilities. Moreover, the users do not have to be computer literate. It is enough to have the basic skills to be able to use the element. Therefore, even beginning users easily cope with such a clipart.